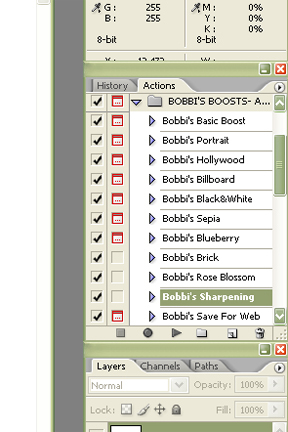 Tutorial – Loading and Using Actions – It Works For Bobbi! 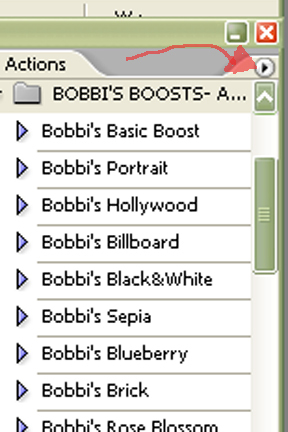 Published on January 25, 2008 August 9, 2016 by Bobbi-Jo G.
I realized that a tutorial on loading and using actions in photoshop might be helpful. If you’ve never used actions before, you are missing out! 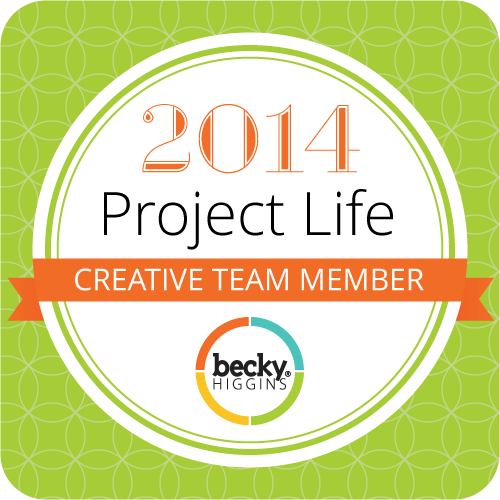 I LOVE using actions – mostly for how simple, easy, and TIME SAVING they are. If you tend to do the same steps over and over when editing your photos, you’ll find them to be a lifesaver for you (or at least a sanity saver!). Here’s how to do it! and ends in .atn. You will want to save it to a location on your computer where you will be able to find it again (I created a new folder named “Actions” in “My Documents”). 2. Now open photoshop. 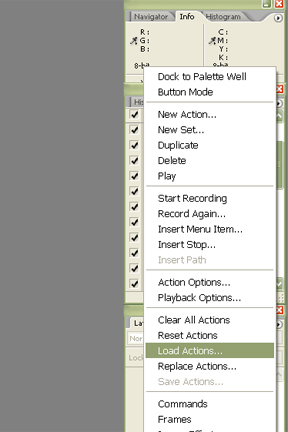 Over to the right hand side of the screen, you need to find the tab that says “Actions”. It will be beside the tab that says “History”. If you don’t see it, go to “Window” and make sure there is a check mark beside the word “actions”. If not, click on it. 3. We are now going to load the action into photoshop (this works differently when using Elements – this is strictly how to do it with full-version photoshop). You’ll see a little black arrow pointing to the right, with a circle around it, in the upper right hand corner of the actions pallette. Click on it. 4. Scroll down until you find where it says “Load Actions”. 5. When you click on it, a screen pops up where you can browse until you find wherever you saved the action file. When you’ve found it, click once to highlight it, then click on “Load”. Voila! The action set will now appear in your actions pallette! “Adjust the Curves and Levels layers to your liking and press play to continue.” What this is telling you, is to look in your layers pallette, and adjust the two layers labeled “Curves” and “Levels” by sliding the opacity slider one way or the other until you like how it looks. 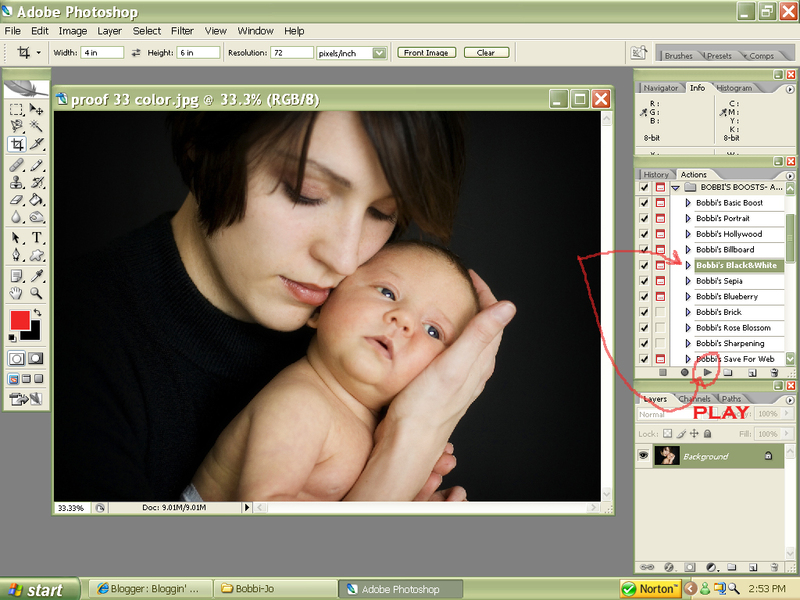 This allows you to adjust the brightness/contrast differently for each photo – because each photo is different. This is a “tweakable” action – meaning you have some control during the process. I hope this helps, as I know it can be confusing to start out with. I know, though, that once you start using actions – you’ll never want it any other way. Someday I’ll teach you how to record your OWN actions. So much fun! 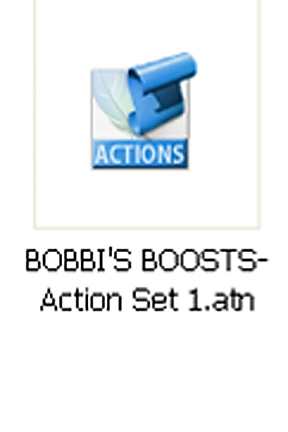 Previous Bobbi’s Boosts Action Pack! Next I finally found some time! I really like your actions! 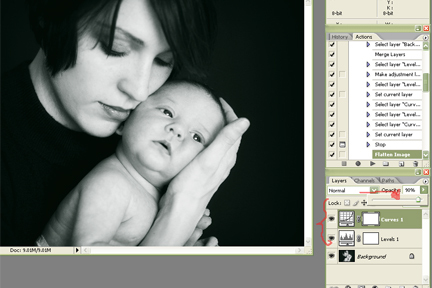 I’ve said it before and I will say it again….”You MUST write a tutorial book!” It would sell!